Ever since I went to a conference session a while back on multi-sensory learning, I have been trying to incorporate as many senses as I can into an activity. Taste, touch, sounds, smell and sight–those five things, with the exception of taste, can be worked into almost any activity. 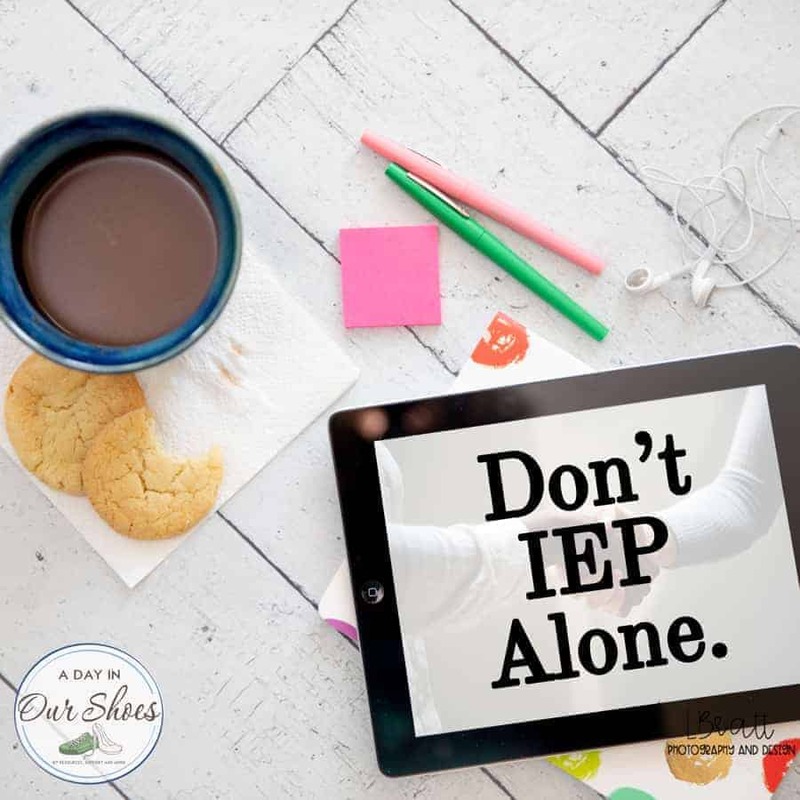 It’s only normal for a parent, teacher or caregiver to overuse auditory. To be constantly telling kids what we want them to do. When you incorporate all the senses, it is not only less talking, but some children learn faster and better. 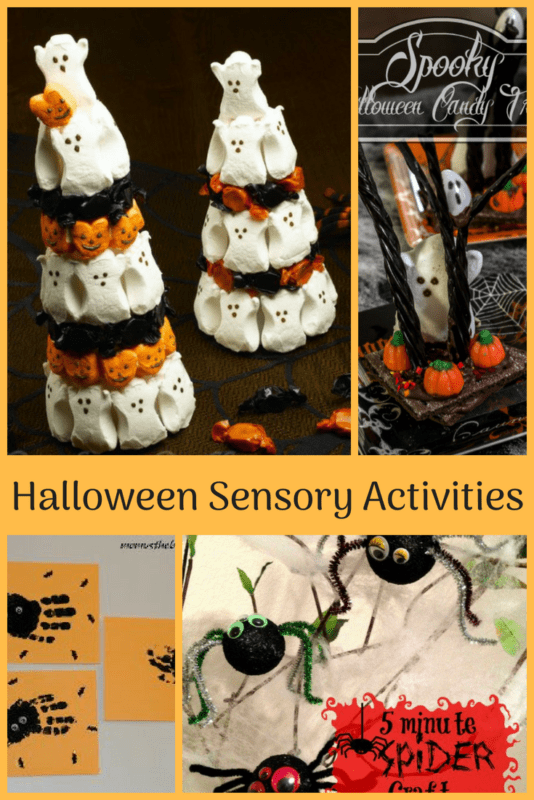 So with that in mind, I have rounded up Halloween craft activities that incorporate at least 4 of the 5 senses. I also have a link to a related Halloween song for kids for each activity. I did a short list of how the senses and fine motor are used in the craft, but of course you teachers, OTs, SLPs and so on will be able to expand on it much more! Smell: smell the paint, does it have a smell? What about the paper? Talk about: explain what ghosts are, can you see them, are they real? NOTE: I found several variations of this activity, such as using black paint and making spiders, or using feet prints to make a monster. Smell: smell the paint, does it have a smell? What about the bats? Talk about: what do you know about bats? What do they do? Why do you think we can see this paint in the dark? NOTE: I liked that this activity is pretty inexpensive and easy to do, and that they could do a whole mobile or just paint one bat. Sound: do bats make a sound? children’s song called Who took the candies? Talk about: Did your topiary stand up straight? Why or why not (balance, etc.)? If you use candy as a decoration, can you eat it? Why or why not, and how long? NOTE: The link to this activity was no longer valid, so you’ll just have to go by the picture. Instructions no longer available. Sound: children’s song called Who took the candies? Talk about: Why do you think the candy melted and then hardened again? How does it do that? Compare your pops to real candy corn, talk about it, why is it called corn? Talk about: talk about spiders, why are spiders associated with Halloween? Talk about: Think about using different materials to make up the scenes. In other words, each student’s is different. Maybe try sequencing and having them line up the terrariums and make up a story as you move from each one. Sound: well whaddya know, there is a song about Green Goo! Talk about: Talk about Halloween, why are these different things (ghosts, dark, night, candy) associated with Halloween? Sound: Which witch is which? Talk About: Why are witches associated with Halloween? What are witches? What are some stories with witches? NOTE: Link to this blog post no longer available. You’ll have to use the picture for directions. « My disabled daughter got her period-now what?